Sunday 21st June marked the launch of our brand new TRYsailing course. 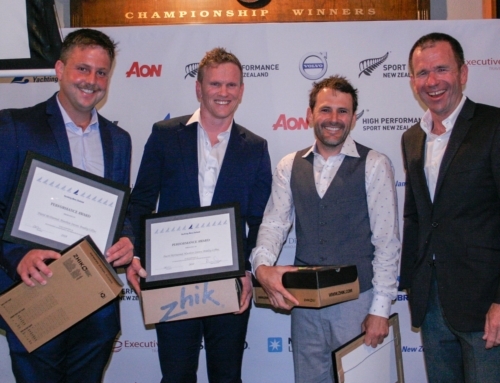 Steffan Panoho and Wing Lin from Auckland Tourism were the first two participants to take an International 420 Dinghy out onto the Waitemata with Head Coach Nathan Laurie guiding them. A quick safety run-down (lifejackets essential! ), a brief lesson on the basic points of sail and the 420 was launched. It was a clear sky, brisk morning with a 10kt SW breeze. A short upwind into Mechanics Bay saw some perfect flat water, ideal for first time sailing! Initially in control of the jib, slowly the two students took over the boat, leaving coach Nathan to sit close-by and direct, providing helpful pointers and explaining the technicalities of the boat. After about an hour and a half of sailing around Mechanics Bay, the team was ready to make sail for a destination. A leisurely reach across the channel to Devonport and then it was time to return back to base. 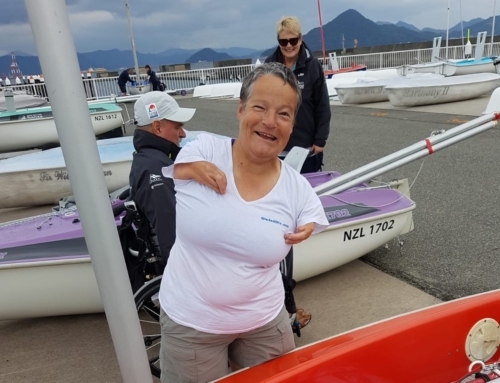 After a short debrief and chat about ways to continue sailing, we had fantastic feedback from our new sailors “I loved it so much, am thinking to continue my learning of sailing!” –Wing Lin. A successful morning on the water, time for a coffee and home made delights from the Akarana Cafe to warm up. TRYsailing is the perfect course for anyone who want’s to give sailing a go. All you need to do is book a place and we do the rest!